Gary Schmidt is one of my favorite children’s book authors, so when Orbiting Jupiter came out last year, I knew I’d have to get it on my reading list soon. Thanks to a blitz gift by my aunt, I was able to sit down with this book last week and devour it in just over an hour. Like a good Gary Schmidt novel, Orbiting Jupiter leans heavily on emotions and characterization. However, I was also pleased to see new themes and ideas being woven into an entirely new story. Orbiting Jupiter is definitely worth a read-through. Jack is a twelve-year-old who lives in rural Maine. When Joseph, a fourteen-year-old boy in foster care comes to live with his family, Jack’s life is flipped upside down. Joseph is different, and holds dark secrets in his past. He wants nothing more to find his baby daughter, Jupiter, whom he has never seen. When Joseph has begun to believe he’ll have a future, he is confronted by demons from his past that force a tragic sacrifice (description from Goodreads). As the blurb gives away, this isn’t your average young adult novel. While the main characters of this book are middle-schoolers, (much like in Gary Schmidt’s other stories Okay for Now and The Wednesday Wars), Jupiter is darker and more mature than his previous writing. That’s not necessarily a bad thing, but it does mean that the age of the main characters shouldn’t necessarily determine the age of its readers. While I would have recommended his previous books to anyone at a middle-school reading level, I’d be more inclined to limit this book to high schoolers and only a few middle schoolers. 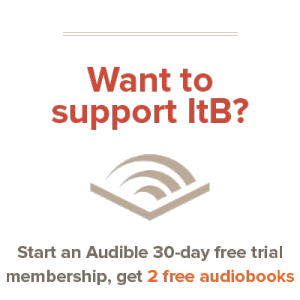 The themes inside are valuable, but this means the book should be handled with a little more intention and care than most would naturally give it. That said, Orbiting Jupiter grabbed me in all the same ways, and more, that Okay for Now did. Schmidt’s picture of Joseph is gripping and the suffering he has gone through made me relate deeply to the character. I also appreciate that Gary Schmidt is willing to trust middle-schoolers to understand difficult themes of loss, fatherhood, and brokenness that are often absent in middle-grade fiction. 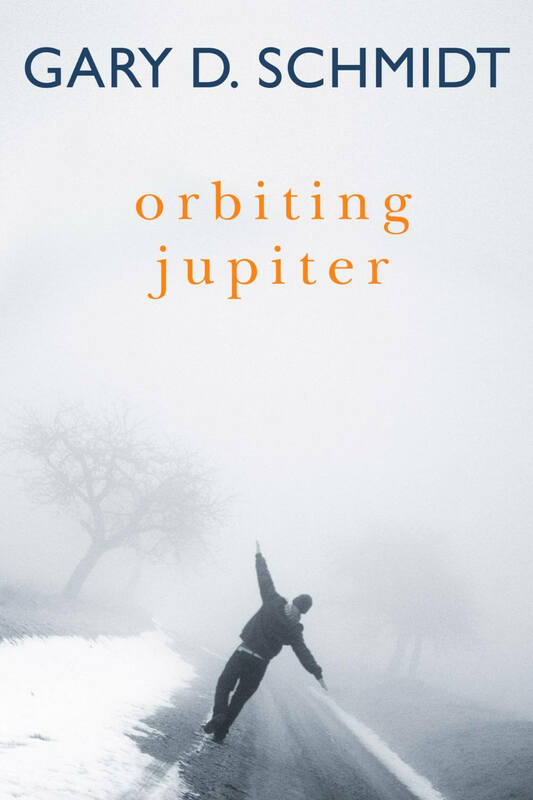 Orbiting Jupiter is sweet mixed with a whole lot of bitter, making a story that feels a lot like a Maine winter: heavy, oppressive, and very beautiful. Digesting this story will take more time than Schmidt’s previous stories — even longer than the tearjerking end of Okay for Now. Orbiting Jupiter sat in my stomach like a rock while I tried to understand it, making it difficult to recommend indiscriminately. Even so, I think that what Gary Schmidt is doing in Orbiting Jupiter is more helpful than harmful, and perhaps more young adult novels should attempt it. He does middle schoolers a great credit by assuming that they can handle stories this difficult — because sometimes life will be this difficult. Even so, I’d recommend this book to be read with parents or a mentor, to bring up ideas and discussion. Don’t let the short size of the story fool you, or that the main characters are middle-schoolers. Orbiting Jupiter is a potent story, and sometimes potent stories can change lives. I think Orbiting Jupiter could have that power, and if used properly, could impact many readers deeply. I read this book a few months ago and was shredded – a most beautiful and tragic and yes, even redemptive, story. I recommended it to many of my adult friends as well as to my teen boys. It will be on my “best reads” list for sure. Yes, it’s an incredible book for sure. I’d highly recommend it, with the above caveats — and if you haven’t read Schmidt’s other books (especially Okay for Now) they are fantastic as well. I loved this book. So beautiful. It hurt so much. I personally identified very much with the characters- my family is helping a girl whose daughter we recently adopted, and we live in Maine. It was so shredding but worth the read. My lit circle group read this book. All of us loved it there was not one single person who didn’t like it. This book is fantastic. At first i was like i am probably going to hate Joseph, but in the end I started to understand him. And i was almost in tears when i found out the end. The book is one of my most favorite book I have ever read in my life time.